These NotePets make great gifts for family and friends! Helping the helpless and loving the unloved is our mantra and we spend everyday trying to make a difference in the lives of street animals, shelter animals, the abandoned, forgotten, ignored and sick. Each NotePet sold helps in aid of filling more hungry bellies, medicating more animals and housing more street and abandoned animals! Grab some NotePets today and make a difference in the life of a street or shelter animal! Each NotePet is priced at $3. Minimum online order is 3 NotePets. Estimated delivery time: 7-10 working days. Order 30 or more NotePets and we will deliver for free (within Singapore)! 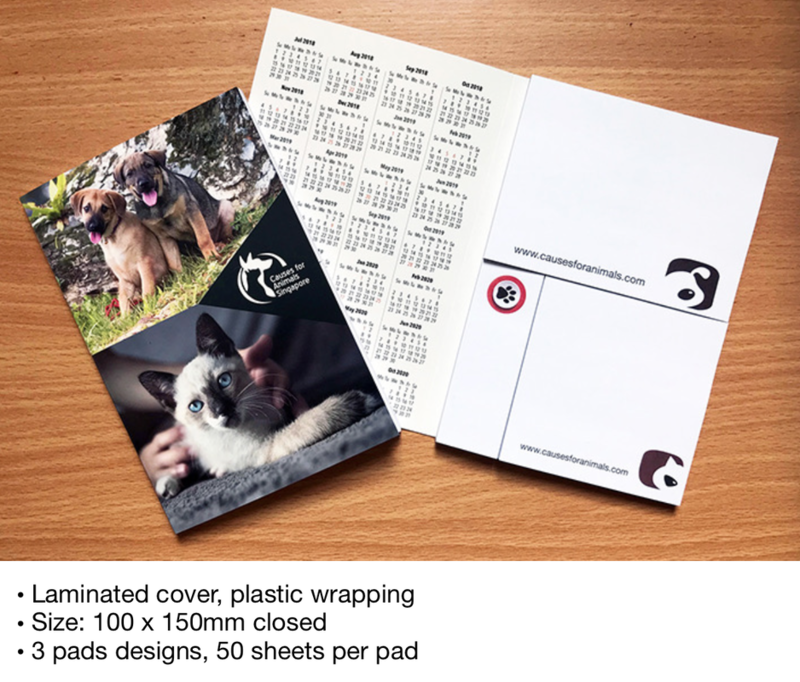 • For enquiries on pickup availability, orders 50 and above or any other questions on the notepets, please email us.